The pole is one unique training tool! Spin, Handstand, Flip, Climb and Lock your way into the body you have always wanted plus maintain it with ease. The stable vertical pole gives you something to hold on to throughout the entire training session. Or achieve something super cool like a Handstand or Flip, using the break down of instruction offered in a vertical pole gymnastics class. Either way you will be going, at your bodies required pace, while conditioning your body and mind to inevitably achieve it all! With literally 100's of fabulous fun and aerodynamic exercises from beginner to advanced to to choose from Pole Fitness never gets boring. Meanwhile our Advanced levels are challenging enough for even the most elite athlete. Feel better than you ever have before... 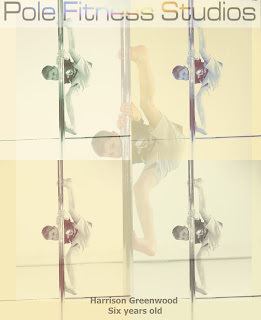 Pole gymnastics is ideal for conditioning your body or adding to your peaking fitness level. Be shredded and ready for Summer every year with ease! I would like you to consider... that you do not always know what you are looking at, until further investigation. Throwing things together in the same basket or simply believing what is told to us, is a risky way to live. When we come across something new to us in life whether in modern day or archaeology, we can only recognize what we are actually looking at; if we as a community have already created it or known of it before. This means we can miss valuable clear information at one time, that later at a more knowledgeable time, we are able to understand clearly. - The aircraft pictures and parts found in ancient Egypt Pyramids. We have been only able to actually see the logic in this and understood it at all after creating aircraft's ourselves around 1903?! - The Emerald Tablets offering spiritual information most relevant today. - Ancient Chinese Pole 1000 years old and practiced to this day compared to the modern Pole Dancing a mere 40 years old. Look again at the important things you believe to know and perhaps you too, will understand so much more than a previous time. Imagination and the ability to seek knowledge is available for us to use and be enjoyed! Think outside the square and get active about doing some research. 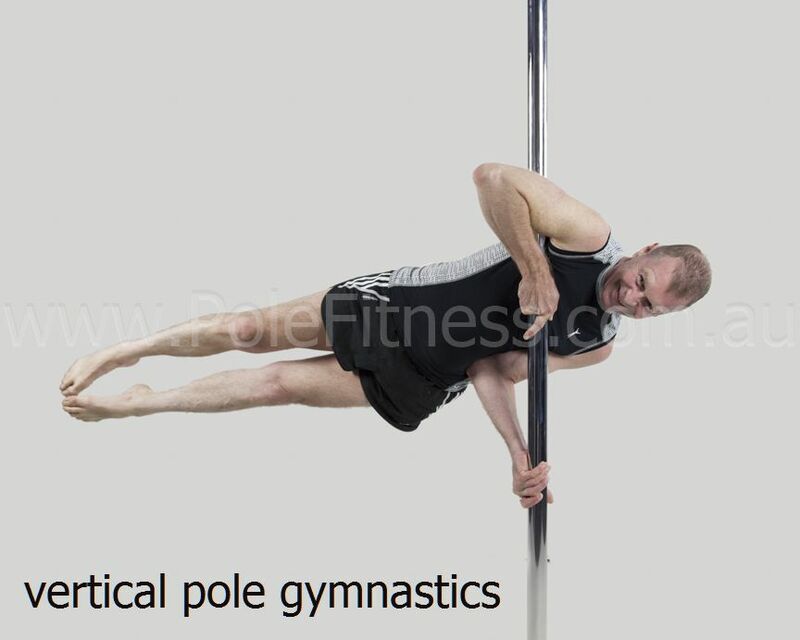 Try vertical pole gymnastics at Pole Fitness Studios© and I guarantee you will see or manage to do something you have never been able to do before. 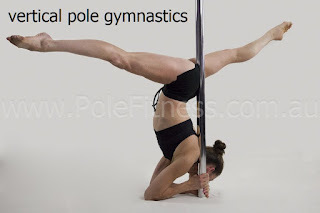 Health & Fitness Motivation News; Why are we pole gymnasts? Feeling like a teenager again comes from a few of life's luxuries, like falling in love! We all hope, even strive to have these moments. Vertical Pole Gymnastics supplies you with this feeling over and over again. With so many fitness benefits, the life perks and bonuses just keep coming e.g. Feeling like a kid again is awesome but best of all 'Hanging' is the easiest most effective way to train your entire body so the bonuses continue on! Flexibility is the key to life and strength is in the mind. Pole Fitness will be something you will really love and keeps on giving! Be strong and treat yourself, try a Pole Fitness Studios class today. This blog is for all the pole gymnast enthusiasts out there who would like to enhance their pole skills. 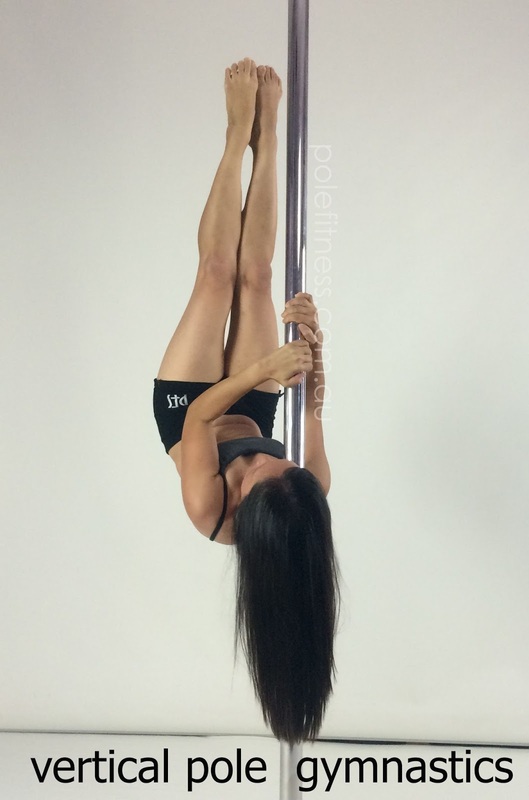 The PFS© Back Split (aka Russian Split) is generally not the easiest pole exercise. This is due to needing to remember and master a number of formulas, that inevitably come together to make it happen. It is a Bent Split/Straddle pole exercise meaning everyone can have a go and get more flexible this way. If you have the luxury of your Forward Split, you will be able to extend this exercise further, immediately! - Pole Entrances include; Cartwheels, U.S.D. Thigh Hold, Parallel to the Floor, Half Split, Bow Extension, Twisted Pole-Stand/Flip etc. it connects to just about everything! - Set up Half Split with a bent lower leg on the pole, making for an easier Arm Wrap and offering broader Back Split activation. - Keep lifting the leg towards the ceiling when releasing this corner knee hold/leg to activate. *Practice leg work in a half Split Stretch on the floor and with one hand on the Floor, look at the top foot. - Use the same arm to lower leg to Arm Wrap with a Back Cup Grip. - Top hand grip can vary use - Twisted Grip, Traditional or Double Back Cup Grip. - The lower the hands are the broader the extension with your Back Split. - Look at the top leg's foot when activating the Back Split. - Top leg follow the line of your hip or the same bottom cheek the leg is attached to. - Reverse back to Corner Knee Hold and Parallel to the floor. - Place top leg's foot on the floor to exit when close to the ground. I hope this has helped and happy training! 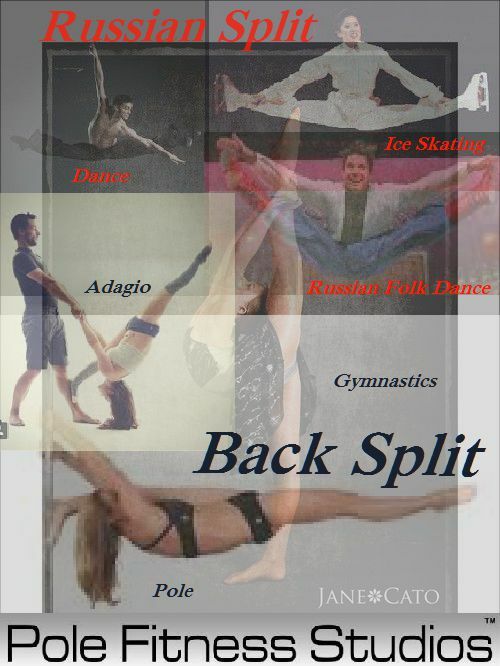 Do you think it should be called a Russian Split or a Back Split? 10 years in the Canterbury Sydney location this year and now officially a Multi Award Winning Business. 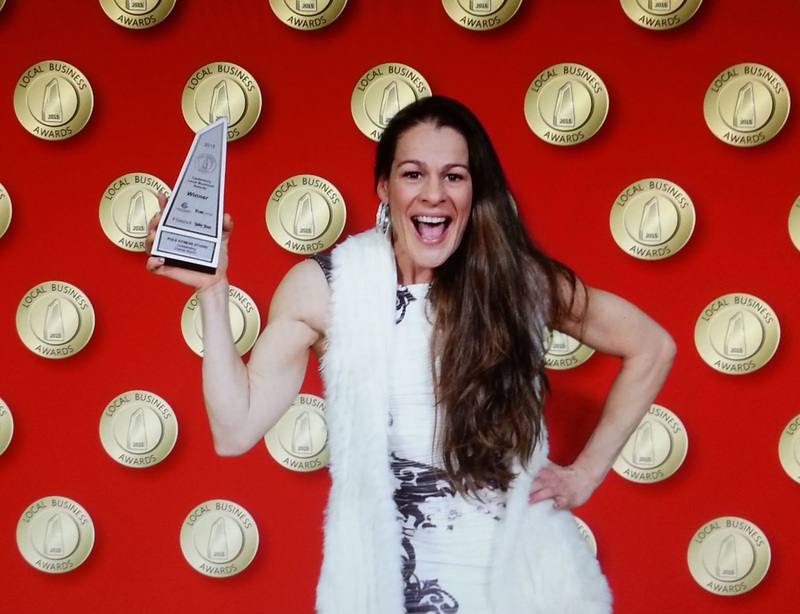 This is our second Local Small Business Award from Precedent representing that our clients are happy and the Council feel that Pole Fitness Studios© is a valuable asset to the community. Pole Fitness Studios© has endures minimum advertising costs due to the generous client word of mouth it receives and program loyalty. So a freshen up including; 4 inch commercial rubber flooring and electronic upgrades to the running systems has made sure your vertical pole gymnastics experience is even better than ever before! It is no wonder everyone is happy! If you are lucky enough to be a local to Pole Fitness Studios© then don't delay because this unique program is a must try. Enjoy the ride and the life changing Pole Fitness© journey. News & health alert for those who are looking to find a hobby and gym/fitness/weight-loss program... Pole gymnastics! Pole Fitness New Flash; PFS© Sports Smoothie recipe to help strengthen/tone you up faster! Lets face it learning anything new can be a little daunting no matter how exhilarating and rewarding. When you very first start at the studio you are faced with, what seems like a huge amount of formulas and pole words. It must feel like learning a new language and going back to A, B, C's in the first few classes. Learning the actual formula's in life is exactly how you excel the quickest and become the best you can be. I have seen after teaching thousands of students, that it easiest when practicing the correct formula and becomes subliminal. In turn rhythm, timing and coordination all improves. Find and improve your formula's in life not just on a personal level but for the better of the entire community. 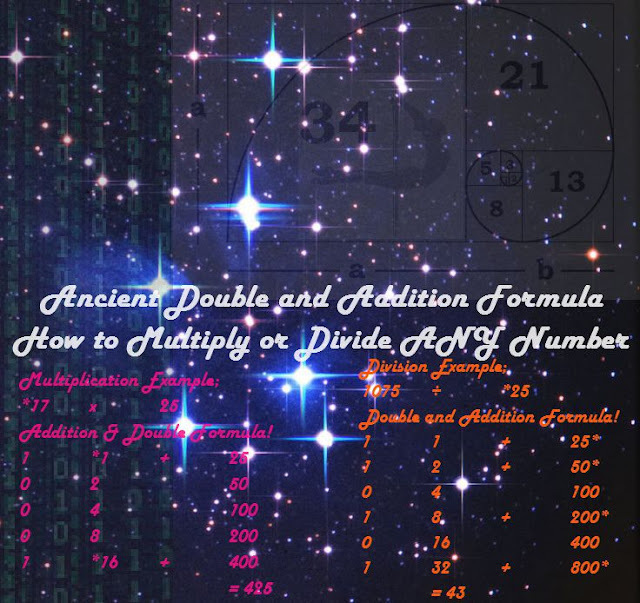 Here is our Ancient Mathematics Formula for multiplying and dividing ANY number using addition. And the way computer code is created today. When you feel your lower joints failing or hurting, blame your feet! Did you know the natural arch in your foot is often responsible, especially given time, for stressing your joints? Simply walking around is enough with limited arch support. - See the Physiotherapist or Pediatrist and add a foot arch support or wear Orthotic shoes/slippers in Winter or/& thong version in Summer. - Pediatrists are available to operate, cut, dig and correct most all foot issues and nail problems well worth a visit to an office and some do home visits. - Exercise is always the best medicine - preventative measures by strengthening both sets of your muscles to protect the joints; small and large. Pole Fitness© offer all sorts of fab foot grips ideal for Locks & Holds and Climbing the pole, excellent for strengthening and protecting your joints. Find a fitness program that is fun and start pole calisthenic training today! How nice it is to simply learn how to hang, yes hang! By simply relaxing into certain pole exercise set ups, you are activating your entire abdominal zone plus you are stretching and strengthening your muscles at the same time. Simply following the Pole Fitness© Instructor while on your own pole. How nice it is to learn how to master one of the 25 different Handstand or Headstand styles offered in a Pole Fitness Studios© class... often people do this for the very first time in their life and within a matter of a few classes. BAM your abs are sorted for life because Handstand and Headstands are highly addictive and you can do them anywhere with correct formula! Flip/inverts, Climbs and many Locks and Holds also on offer in a Pole Fitness© class, have a squat or crunch like activity literally hiding within the formula required to master the exercise. How nice it is to find the best hobby and interest on earth, keeping you both active and highly entertained for life. OMG do pole and you will look down at the six pack of abs you now naturally sport! PFS© Sports Smoothie recipe to help strengthen/tone you up faster! News Flash... Flexibility is the key to life. Pole Fitness New Flash; PFS© Sports Smoothie recipe to help strengthen/tone you up faster! I am in heaven right now sipping on a PFS© Sports Smoothie after teaching a four hour session of vertical pole gymnastics! I can literally feel my body thanking me with every sip... This healthy recipe is a MUST TRY for any and all who workout. Fuel the muscles immediately after working out with no delay makes all the difference to muscle growth and fat reduction. Tone up faster with a Sports Smoothie now available at Pole Fitness Studios©. Fresh made daily and to order, a blend of super foods and sweet fruits guaranteed to be an energy enhancer and boost your metabolism! Only the very best for my pole gymnasts, these PFS© Sports Smoothies are full of fresh food using only the finest quality ingredients. Cost - $10 and can be a complete light meal supplement. If you are a person who likes to follow the prompts e.g. A, then B, then C = D then you will love Pole Fitness Studios©. Learn the formulas required to master and execute the skills quickly and precisely plus speak the language. Eventually having the understanding to be able to easily breakdown and combine any and every pole skill you desire! 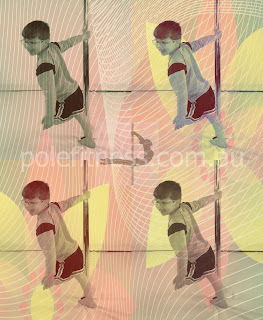 Australia is the place to live or visit and pole fitness© is a must try. 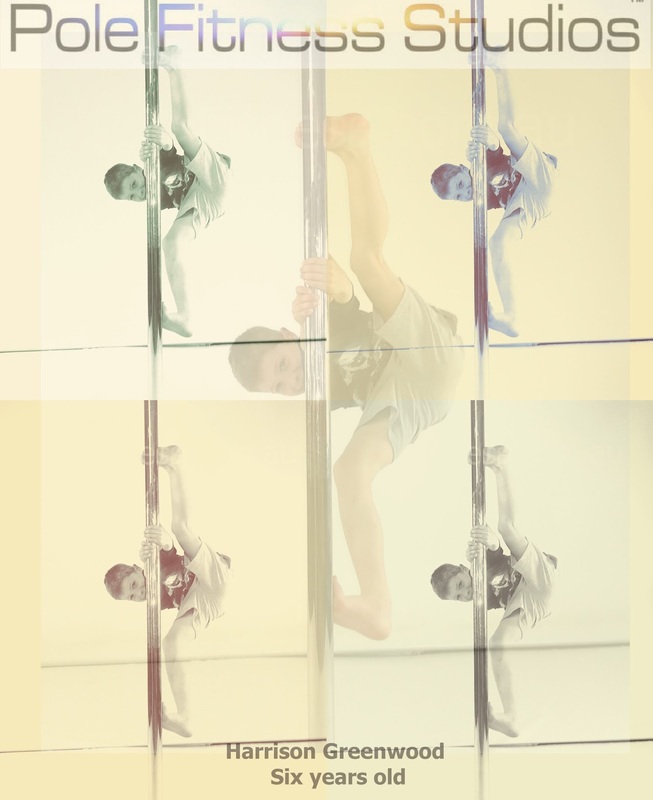 A program purely focused on the pole inclusive skills such as climbing, flipping, handstands and cartwheels, walkovers and rolls, spins, locks and holds!. Gymnastics at its best because a vertical pole is the ideal conditioning tool for you and me; adding stability having the pole to hold onto plus commercial grade soft mats for your added landing comfort and fun! Add fitness harmony into your life simply try a class and you will become a Pole Fitness Studios© member for life. I am always so impressed by the enthusiasm people have for snow and water skiing. Is it the sensational views? That aerodynamic glide sensation this fabulous sport offers? Skiing must feel so amazing and super fun. We know this because everyone is well aware of the common risks associated with this sport like joint complaints, pulling muscles or worse still breaking bones. Never fear because Pole Fitness© is here! 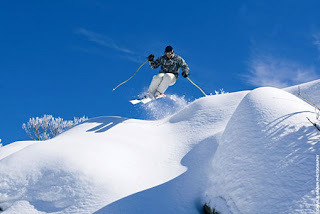 "A good, flexible body is going to be a huge benefit when taking part in skiing. The general stance of the downhill skier is in a slight crouch, knees bent and feet together, which in itself is putting a fair amount of strain on the leg muscles, especially the large quadriceps and glutes muscle groups." Fitday says. Vertical pole is the very best gymnastics apparatus especially conditioning your body for the sport of skiing. These pole exercises prepare your body for skiing by stretching and strength building at the same time, targeting every single muscle in your body allowing you to be completely ready for skiing. You will not be bored because the Pole Fitness Studios© program also offers an aerodynamic sensation making it super fun! Available all year round, try a class for yourself today.